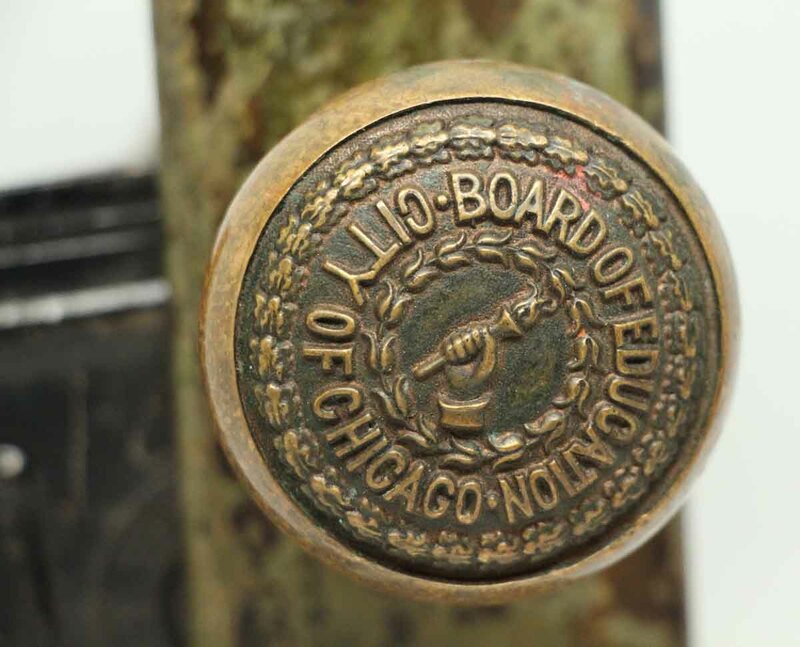 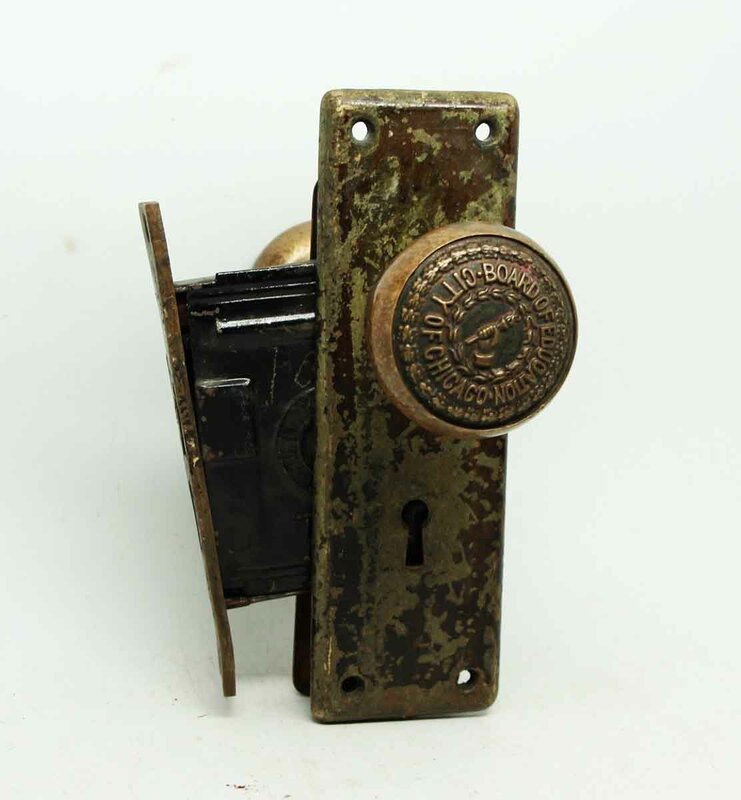 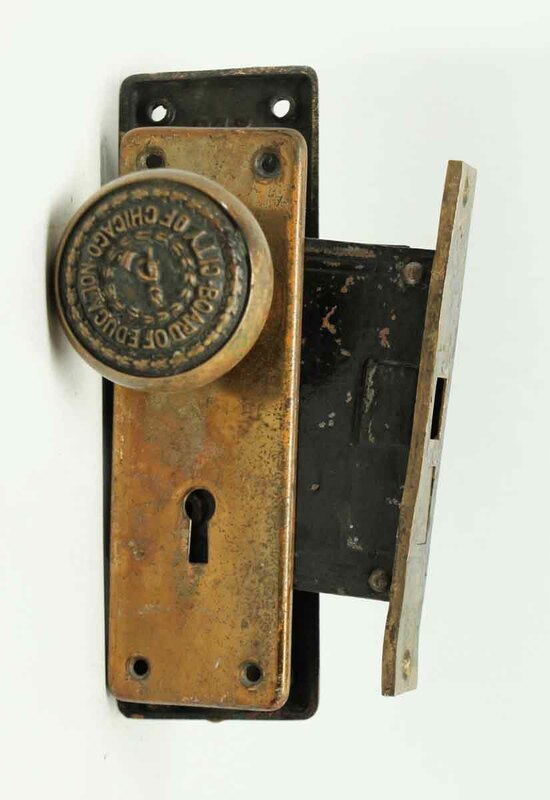 Set includes a pair of the City of Chicago Board of Education doorknobs with two worn back plates and a mortise lock. 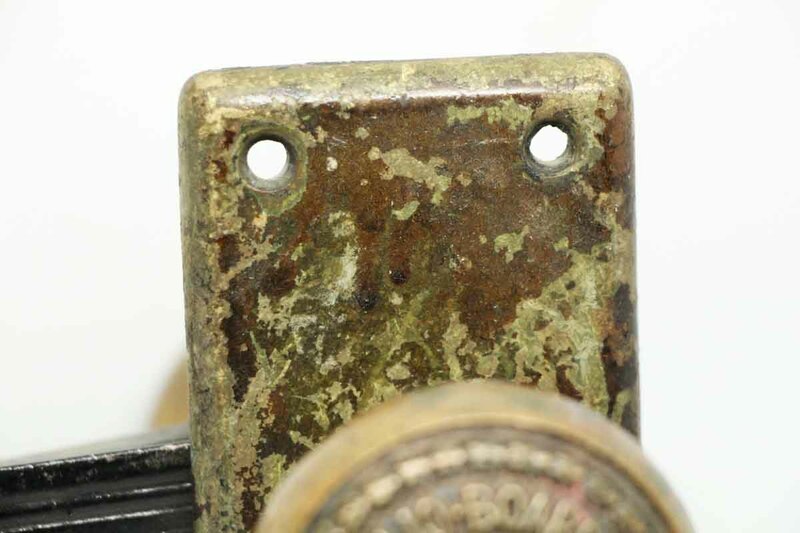 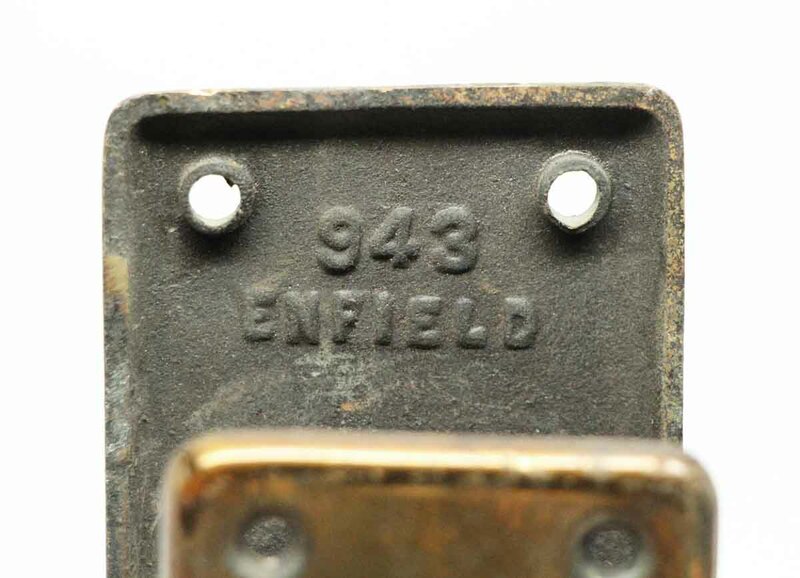 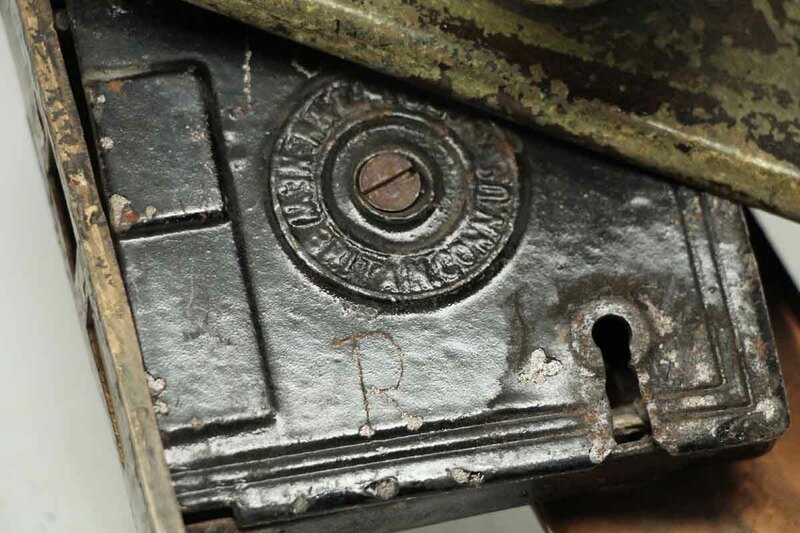 The back plate is inscribed 943 Enfield. 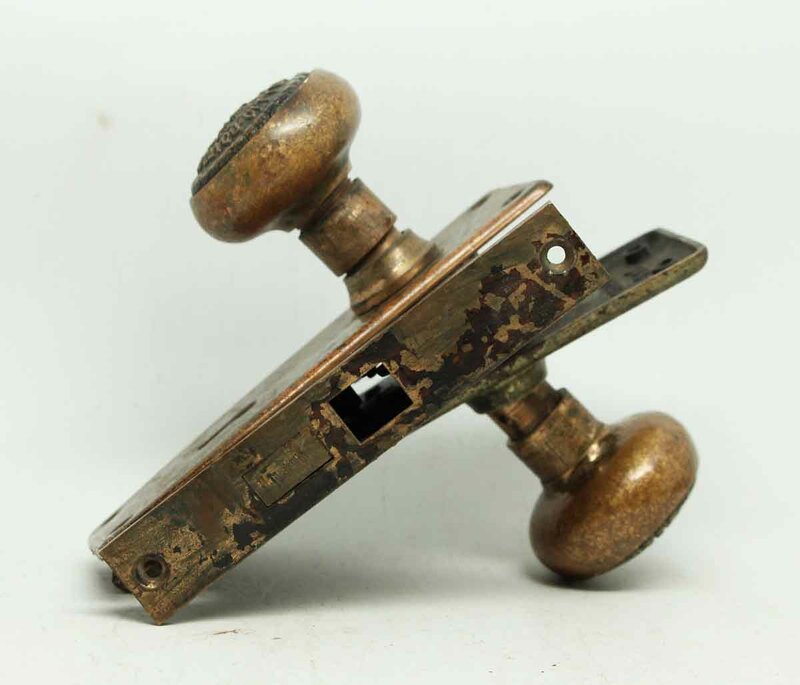 The set shows wear from age and use.